Angus AnyWhere Tenant Service Request is a service management solution specifically designed for commercial real estate. I create preventative maintenance tasking occasionally for properties using this system. It has a very small learning curve, easy to copy/paste new equipment and tasking, and can really help a property keep maintenance on a steady level if used. The software doesn't seem have issues for the purposes that I use it. Can ake a bit of time to initially set up a full schedule for a property. Use it fully for all of its purposes and don't ignore it's benefits. Set up scheduling, tasking, users, etc. initially, keep them up-to-date, and this will keep your building healthy! This program will systematically improve the management of building assets, without a doubt. But most engineers I have collaborated with do not seem to give it much time when arranging their maintenance schedules. The more you rely on it, the better your outcome will be. "Does everything you need it to"
I find setting up work orders to be the easiest, most straightforward part of the system. I also think the reservations calendar works great. The alert emails you get are difficult to read and it's difficult to set up reoccurring work orders. I also find the email templates difficult to format. It works great! You won't be disappointed. We are communicating more effectively with our tenants and solving their building issues in an efficient manner. It is also perfect for keeping track of all of our tenant contacts and their roles. What Real Estate Activities Management solution do you use? Mobile app makes it easy to track work orders on the go. Technical errors are always solved quickly and explained to clients. I wish work orders scheduled for later in the day didn't show up in the "work" feed until dispatch. It gets crowded and can be confusing. Our tenants would appreciate a mobile app for tenant use. Helps track response times and team efficiency. The ability to schedule recurring work orders is very helpful as well - one less thing to remember. "Organized and Super Easy "
Honestly, I really enjoy the program. Very sufficient. 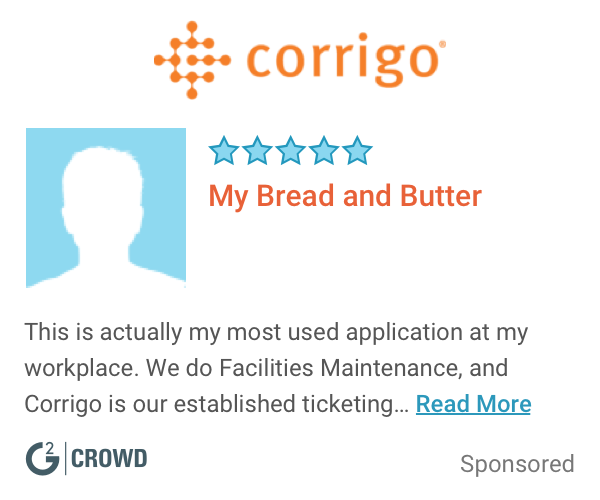 I use angus to review and close out Facilities' Tickets. Angus is well organized and super easy to find specific tickets. Most Managament Programs are not as organized. And if they are, there are usually too many steps required to find a specific Work Order. "Easy Setup and great support team." I mostly liked the ease of setting up tenants and the building in general. This is an outstanding easy to use software. The Angus Anywhere staff was excellent support. Tenant relations and the ease of tenant submitting TR's which get done a lot faster then having to receive email our admin assistant having to write up a service ticket and then getting it to me. "Angus Anywhere is very easy to use"
The tenant work orders. You will never overlook a request. I wish when a tenant cert. is expired that it would send me an email. Great way to never forget about a tenant request. You can always review past tenant requests as well, so you can always use it for reference if a question comes up months later. Able to track tenant certificates/tenant work orders. "Effective cloud based commercial tenant management software"
This is an effective piece of software for managing large property portfolios. It makes communicating with tenants and recording correspondence very easy. There is potential for more useful reports and dashboards to be compiled and downloaded for reporting purposes. Use it to manage tenants and manage your portfolio. Being able to bill and invoice is easier with Angus. It gave us better relationship management with tenants and maintenance. "Utilized for tenant work requests and dispatching engineering personnel, and ran related reports." User friendly, easy to maneuver through. None that I can think of...good experience, overall. Ensuring that our tenants are our top priority and keeping them happy. So far I am completely satisfied with Angus. Very easy to learn and easy to use. Has a lot of features. Angus let’s me keep in touch with tenants and vendors. Easy interface to work with. Made doin business easy. Not always make it easy to find things. Able to have multiple people working on projects from different locations. Helps keep things running Smooth. "Solid building management system "
* We monitor all Angus AnyWhere reviews to prevent fraudulent reviews and keep review quality high. We do not post reviews by company employees or direct competitors. Validated reviews require the user to submit a screenshot of the product containing their user ID, in order to verify a user is an actual user of the product. Company: Angus Systems Group Ltd.
Hi there! Are you looking to implement a solution like Angus AnyWhere?